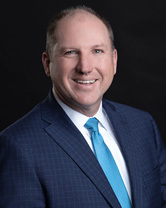 Kevin Hammons is responsible for SEC reporting matters, as well as overseeing other accounting and financial reporting matters, including consolidations, budgeting and the design and implementation of financial systems and processes. He also oversees the corporate finance and treasury management functions. Hammons joined CHS in 1997 after ten years in various positions in the Assurance and Advisory Services practice at Ernst & Young. In 2012, he was promoted to Vice President (later Senior Vice President) and Chief Accounting Officer. In 2017, he was named Assistant Chief Financial Officer, and in 2018, he was also named Treasurer. He is a member of the American Institute of Certified Public Accountants.